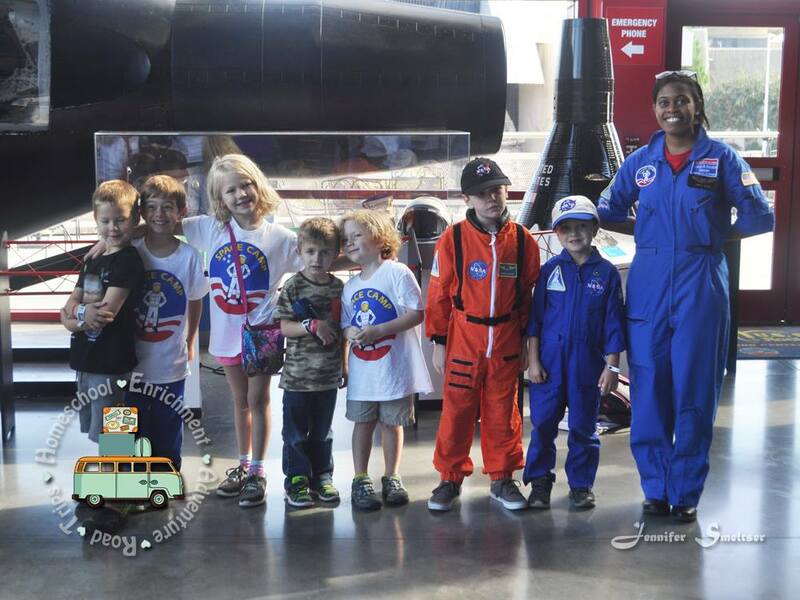 We are excited to announce that we will be returning to Space Camp this year! 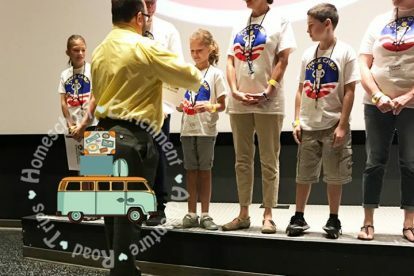 This will be our third annual Homeschool Enrichment Adventure Road Trip ♥ (H.E.A.R.T.) 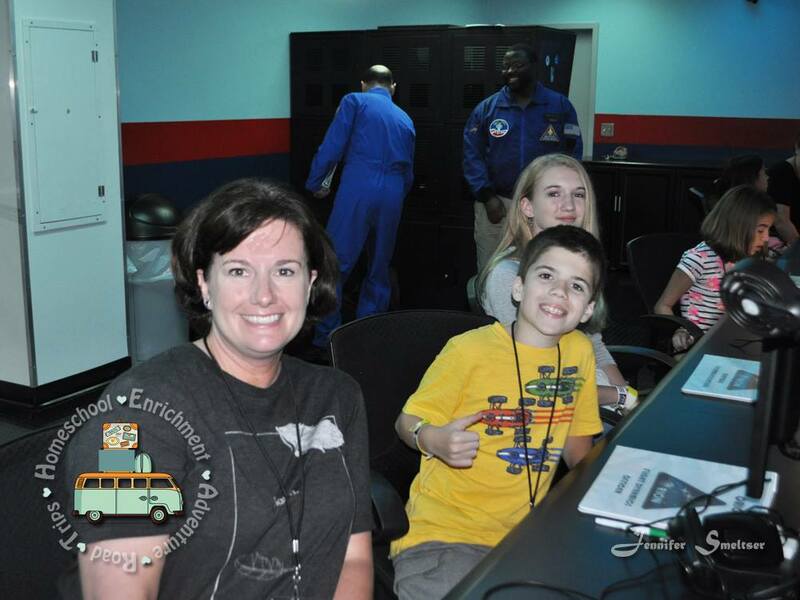 ♥ with Hip Homeschool Moms and our second trip to Space Camp. 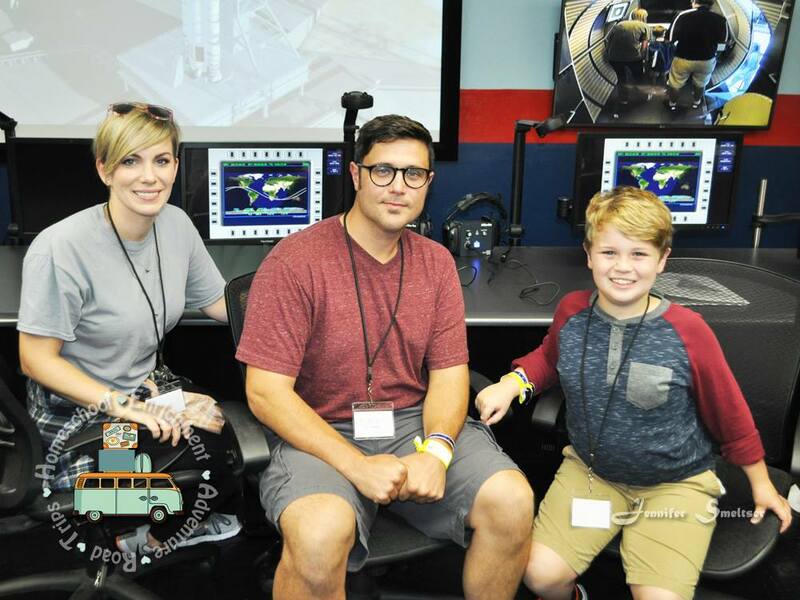 We are also excited to announce that, for those who went with us in 2017 for Family Space Camp, we’re adding Family Robotics Camp this year, so you’re in for a whole new Space Camp experience! 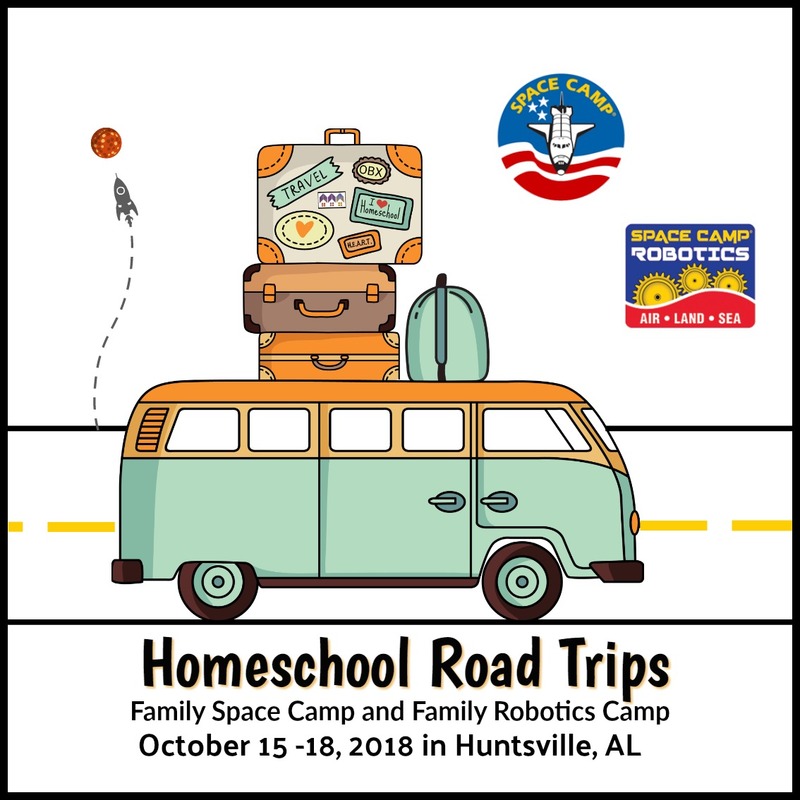 IMPORTANT NOTE: Family Space Camp and Family Robotics Camp will run simultaneously, so the dates are the same for both camps. 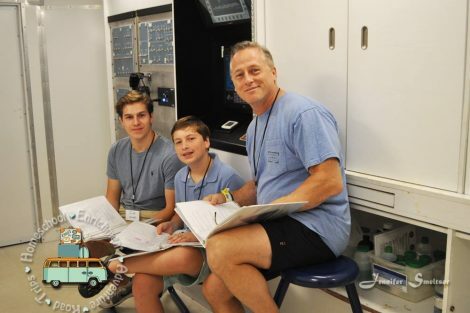 You may choose to attend Family Space Camp OR Family Robotics Camp. You’ll find more information about the age requirements below in the sections that explain more details about each camp. 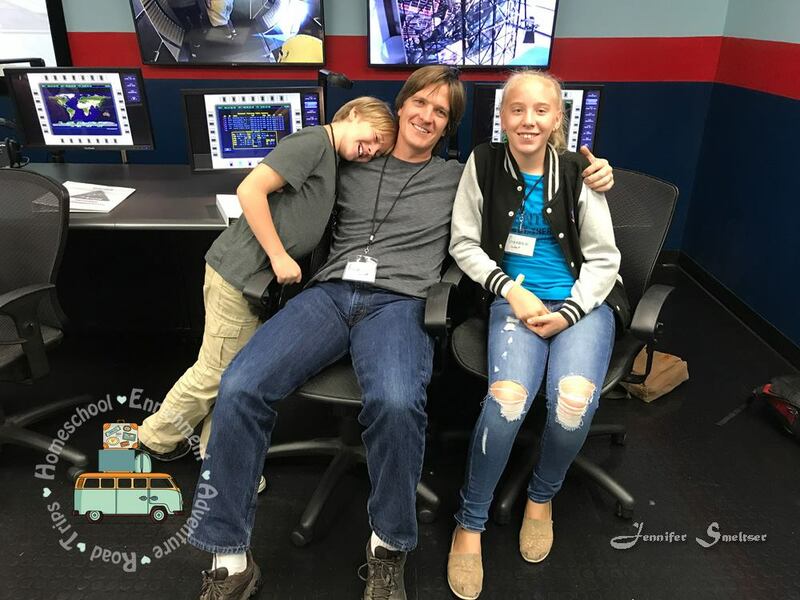 ALSO: You may choose for part of the family to attend Family Space Camp while the other part attends Family Robotics Camp (keeping in mind the age requirements for students). 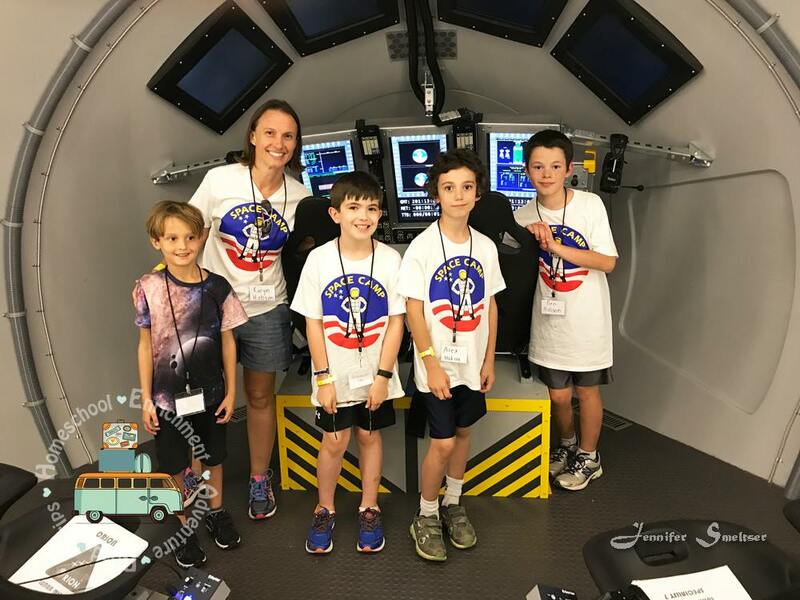 You can read about our first HEART trip to Fort Caswell, NC, where we studied science, history, pirates, and more by clicking HERE. 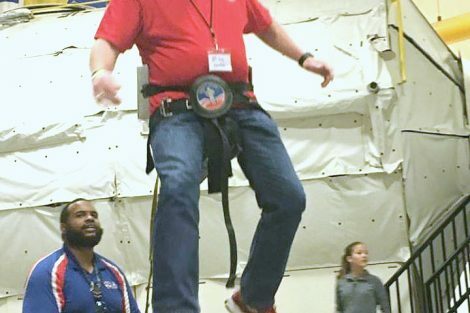 And you can see pictures from our first trip to Space Camp in October of 2017 as you scroll down in this article. 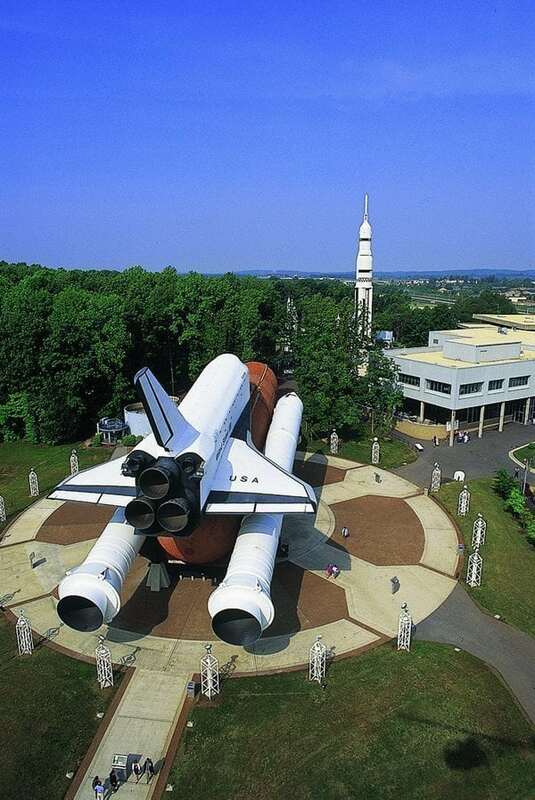 Did you know that the U.S. Space and Rocket Center, where Space Camp is held, is recognized as one of the largest space museums in the world with the most comprehensive museum of U.S. manned space flight hardware in the world? It’s a pretty amazing place! 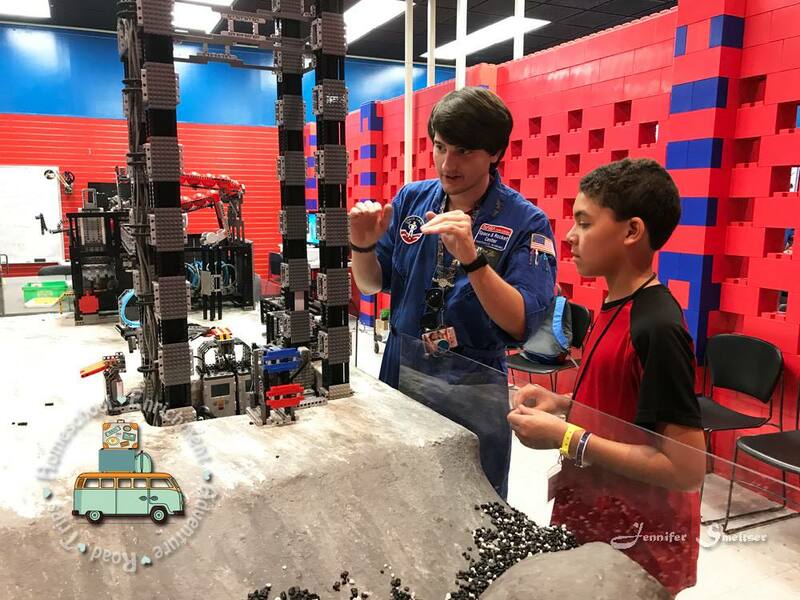 And with both Family Space Camp and Family Robotics Camp to choose from, you’ll be sure to have a great time and learn a lot. 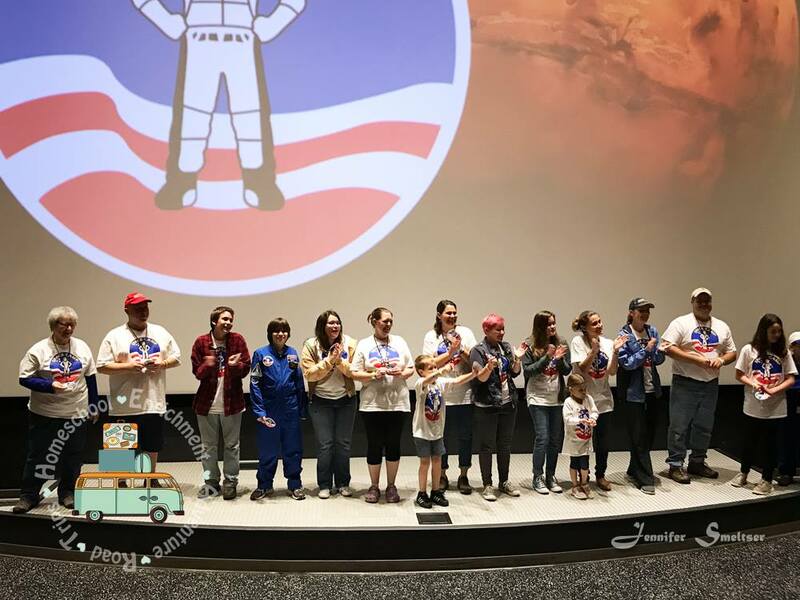 Space Camp began as an interactive space and astronomy program to inspire and motivate students. 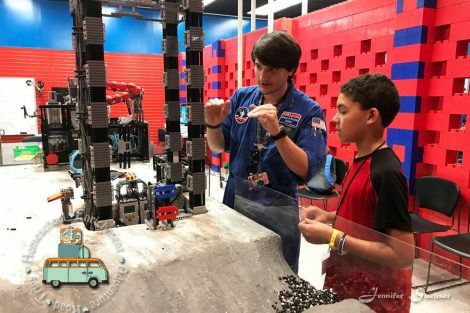 It’s part hands-on field trip and part camp, and it’s an outgrowth of the U.S. Space & Rocket Center’s museum education program. 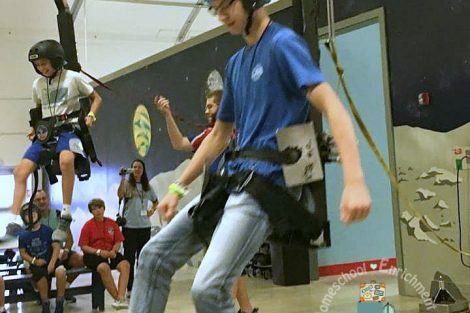 It was designed to inspire and motivate youth to push the boundaries of human exploration just as generations did before them. 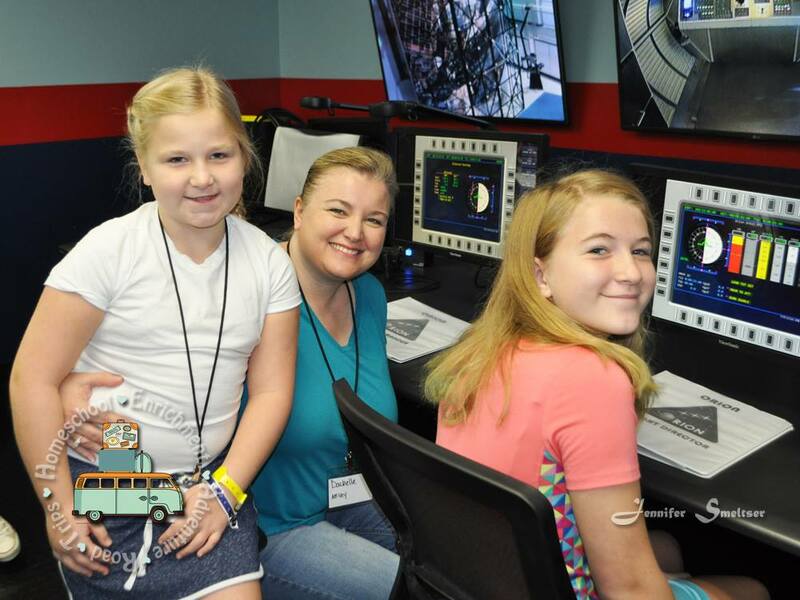 Space Camp is internationally popular, with visitors from all 50 states and more than 70 foreign countries! 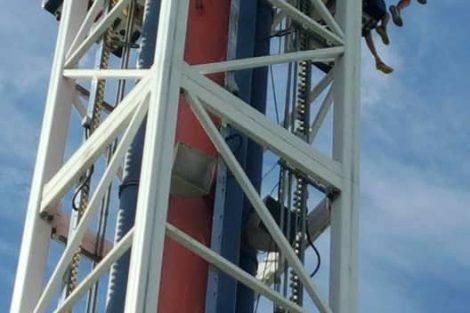 In fact, it was Alabama’s most visited tourism attraction in 2016. 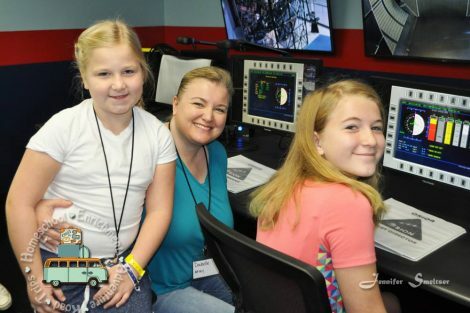 Space Camp provides an opportunity for aspiring explorers to train to live and work in space. 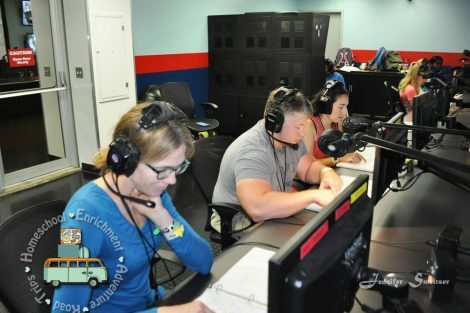 It’s a chance to command, navigate, and contribute to a sophisticated space mission simulation. 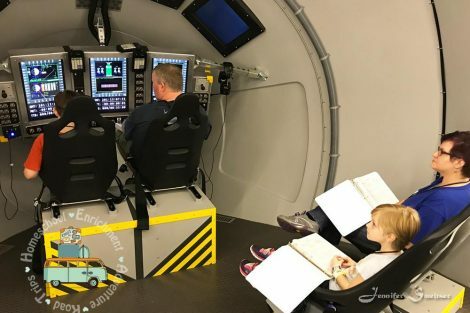 It’s an opportunity to be challenged by the tests of simulated space missions, rocket launches, and realistic astronaut simulators. 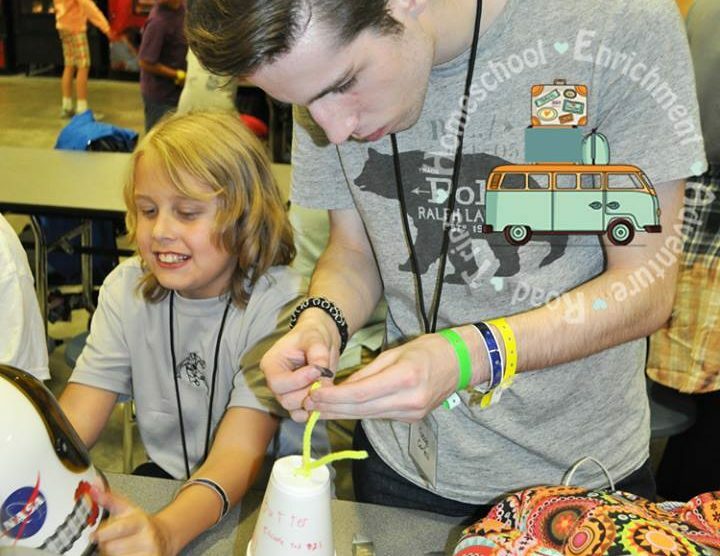 And it’s a way of participating in real-world applications of science, technology, engineering, and math education. 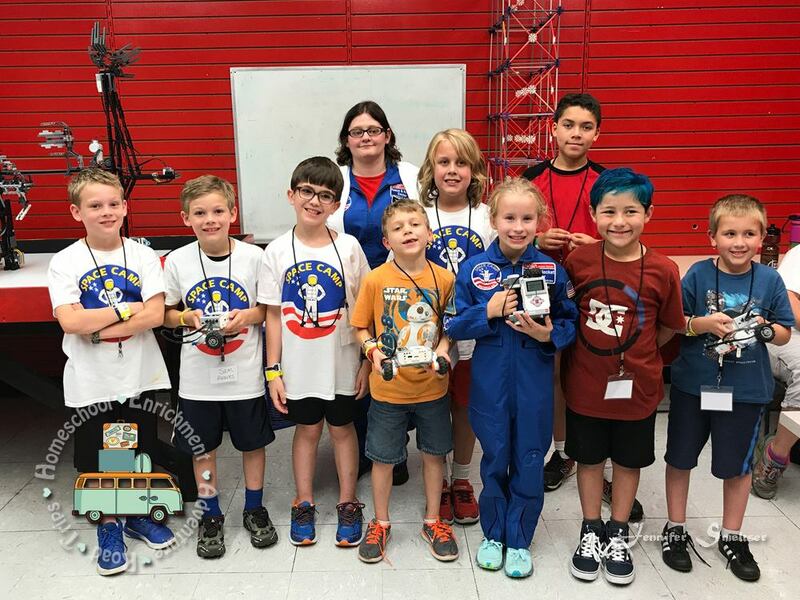 At Space Camp, we will prepare to become the new generation of lunar explorers with hands-on activities that place us in the roles of hardware engineers, mission controllers, and astronauts! 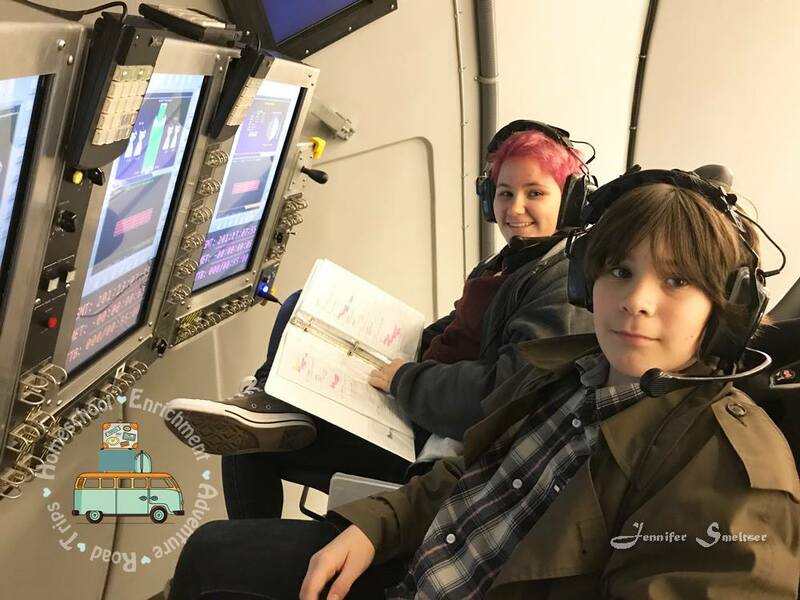 And besides all that, it’s a fun and exciting way to be with friends and family and have fun learning and exploring together! 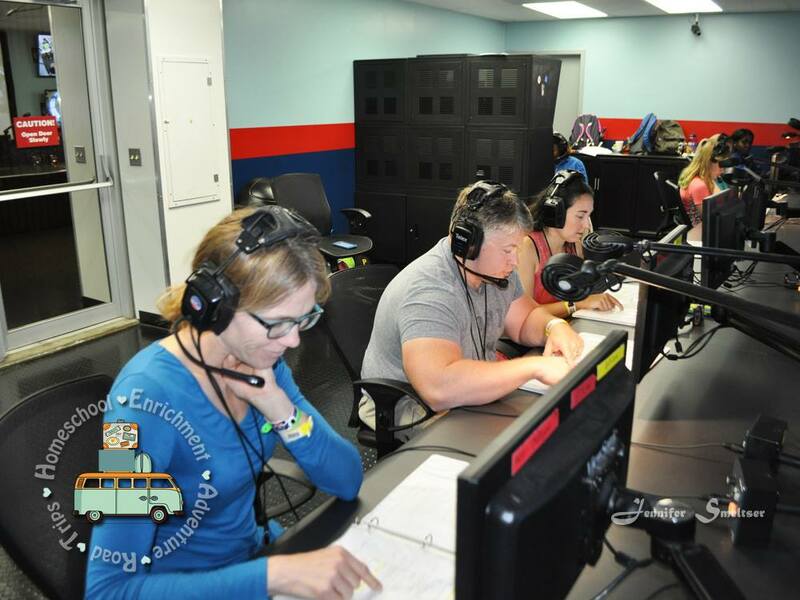 To date, three Space Camp graduates have actually gone to space, while seven others are active in the astronaut corps awaiting their turns! Last year we had a great time working with our own families and getting to know and work with other families too! Trish and I can’t wait to see both families we’ve met on our first two adventures and families we haven’t had the chance to meet yet. 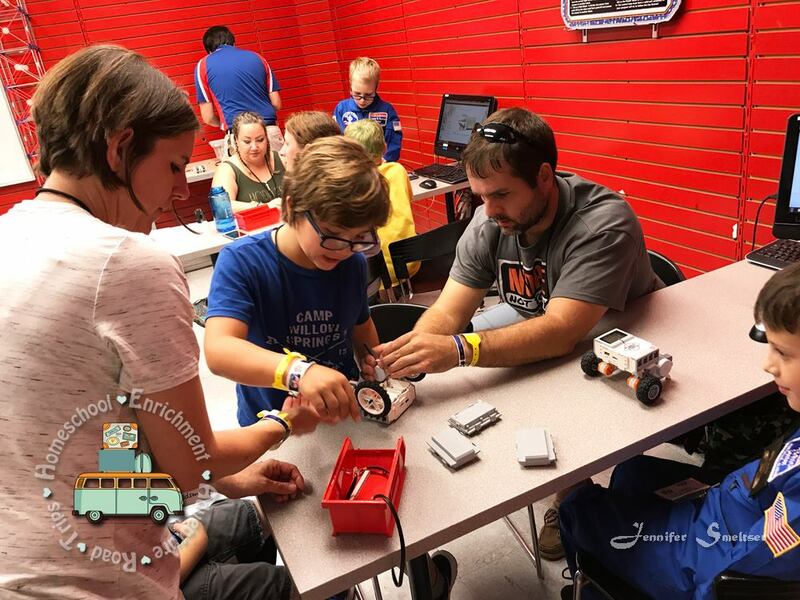 Family Robotics Camp will be new to us, and we can’t wait to experience it! 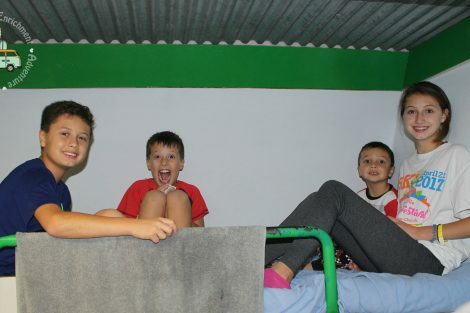 (This camp is for students who are at least 9 years old.) 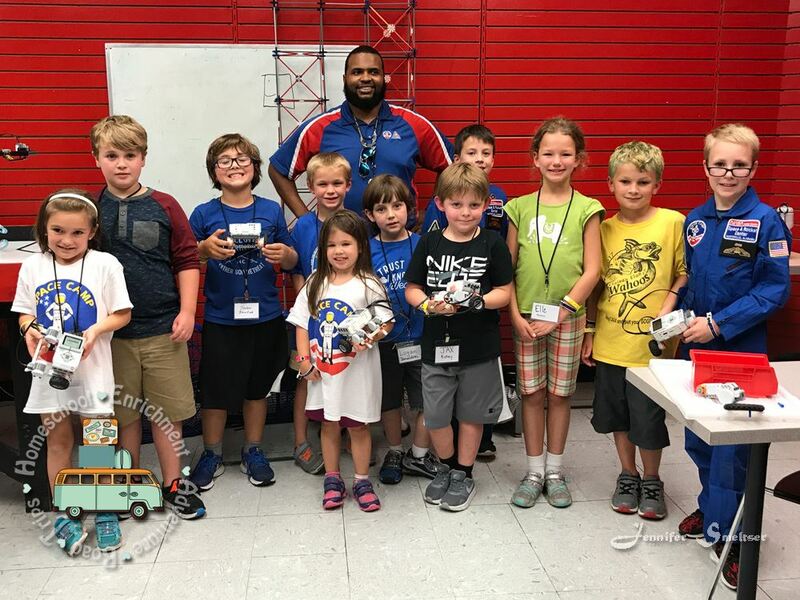 At this camp, trainee families will learn that our ideas can become reality as we use robotic technologies to create engineering solutions to real-world problems. 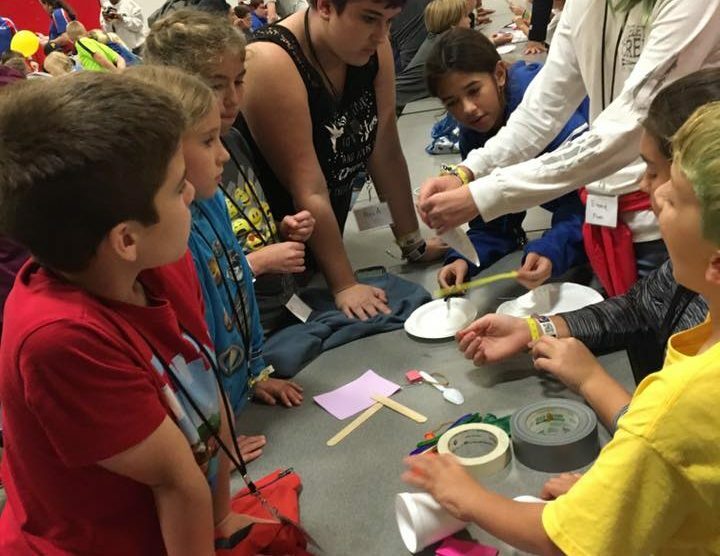 We will work as teams to build and test our own designs in air, land, and sea challenges. Some of the activities we may participate in include learning engineering, programming, and wireless control concepts using LEGO MINDSTORMS EV3 technology; putting these concepts to the test as we design, build, program, and test land-based robots; using series circuits to build LED flashlights that we get to keep as souvenirs; creating and piloting underwater robots; and training in the art of flying Unmanned Aerial Systems using RealFlight drone simulations. Kinder Camp is for 5- and 6-year-old children. 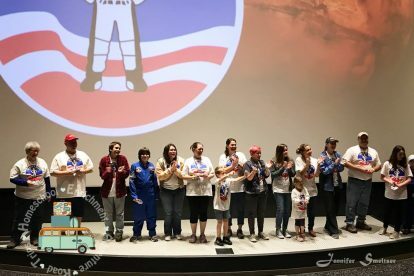 Parents do have the option of keeping their 5- and 6-year-olds with them during Space Camp instead of having them attend Kinder Camp. 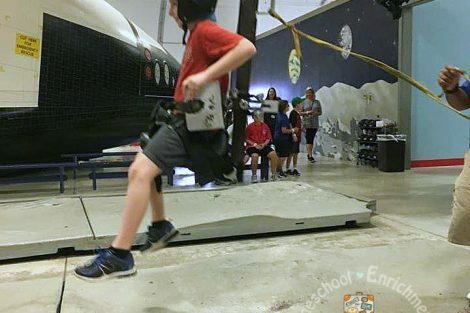 However, there will be some activities that 5- and 6-year-olds aren’t physically big enough to do or can’t do because of safety limitations, so please understand this if you decide to keep them with you. Also, there are some times during which the Family Groups listen to historical information or other similar lessons, and younger children may not be very interested in these lessons. 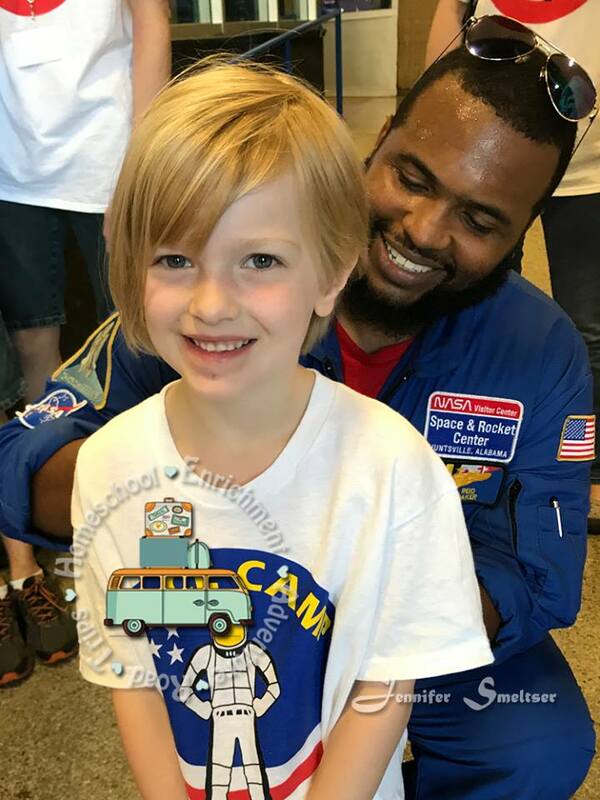 Space Camp highly encourages you to have your 5- and 6-year-olds attend Kinder Camp since it is geared toward children of those ages. 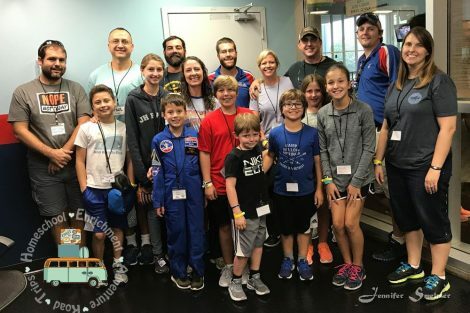 The folks at Space Camp are going to try to make sure the meal times for Kinder Campers and Family Groups occur at the same time so that parents who attend Space Camp can still have meals with their Kinder Campers. 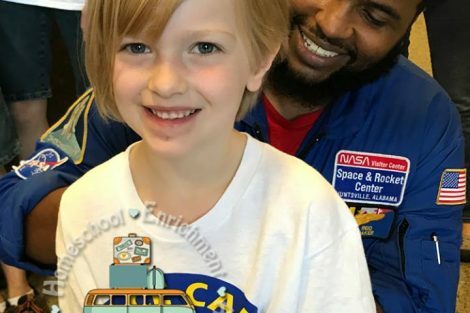 Parents may choose to do Space Camp or be chaperones in Kinder Camp (although there is no need for chaperones; they do these all the time and have enough staff to cover it). But we know y’all may want to be with them. You can also pick and choose and float back and forth… checking in and then drifting back into Space Camp if that won’t upset your little one. But you don’t have to worry if you choose to allow your younger children to attend Kinder Camp! 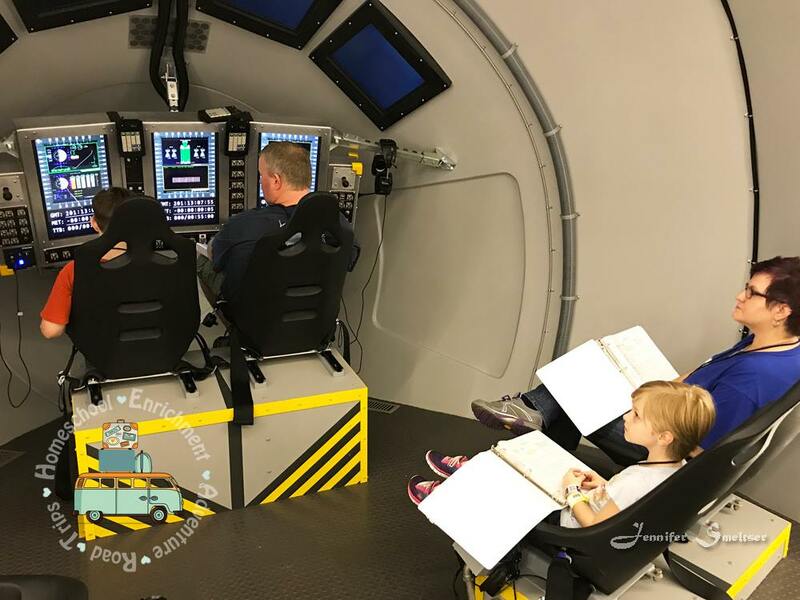 They will do their own version of Space Camp geared just toward younger children, so they’ll learn a lot and have a great time too! 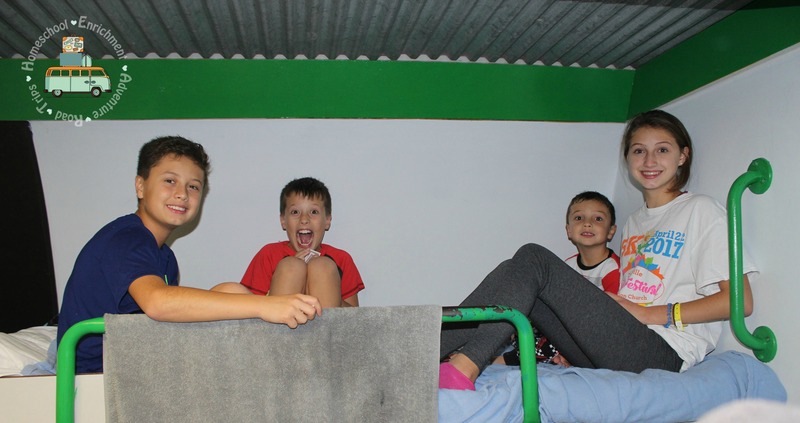 We stayed in rooms called pods in the hab (habitat) building. 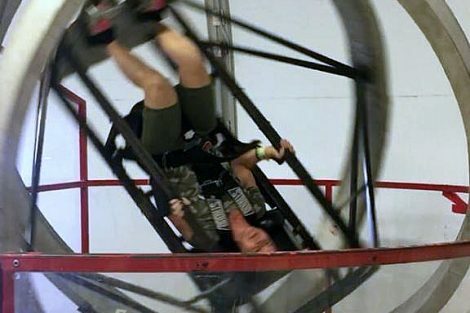 The “moon walk” and gyroscope were a lot of fun, but the Space Shot was fantastic for some of us who have a need for speed! 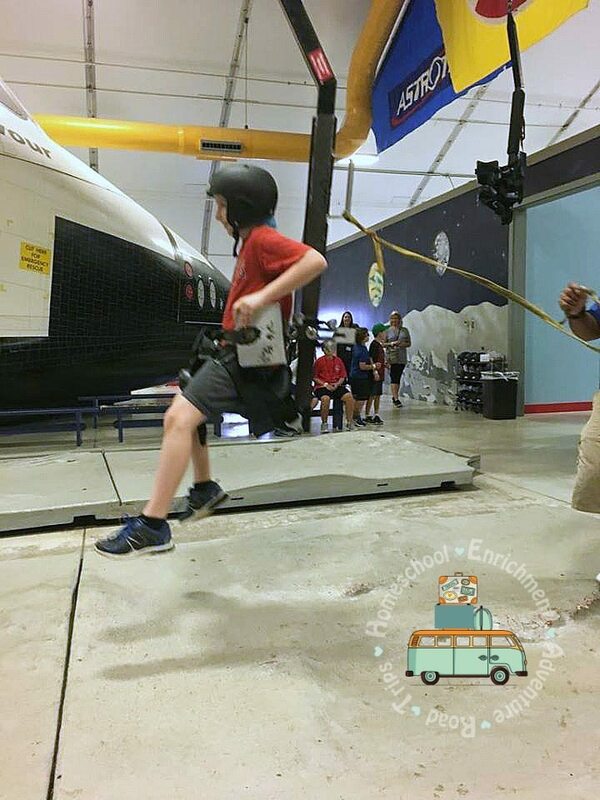 In the 1/6 Gravity Chair Simulator (the “moon walk”), we learned how it feels to walk on the moon. 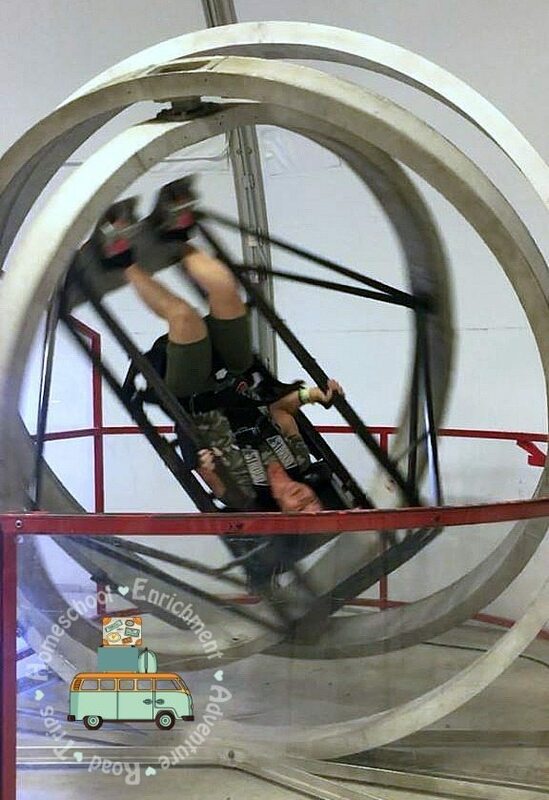 In the Multi Access Trainer (the gyroscope), we experienced the same tumbling and spinning as the astronauts from the early space programs. 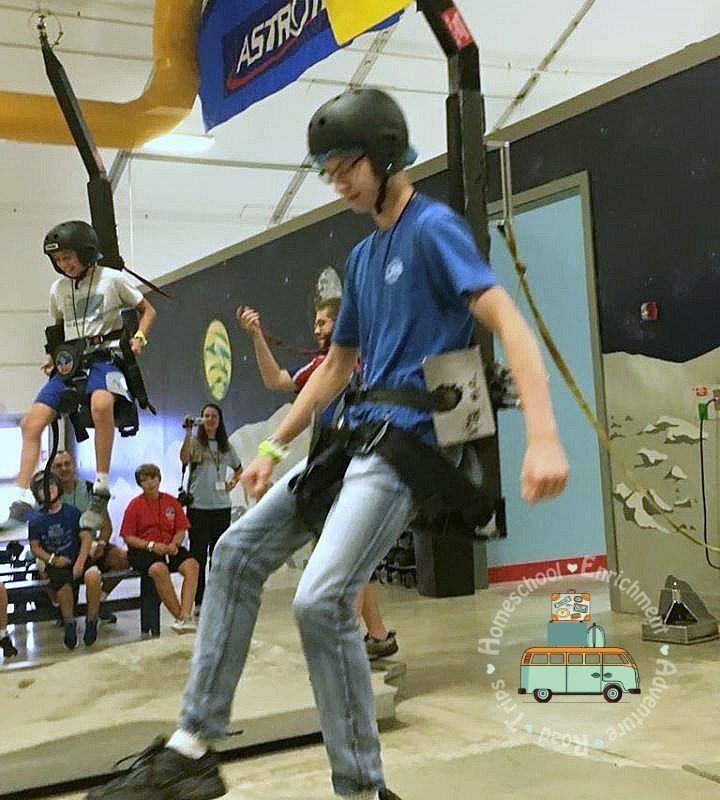 In the Space Shot (the last two photos), we got to lift off at four times the normal force of gravity and experience weightlessness for a few seconds. It was amazing!! We got a little taste of robotics too. Team Night was so much fun!! Parents and kids worked together in teams to do different tasks and win awards. 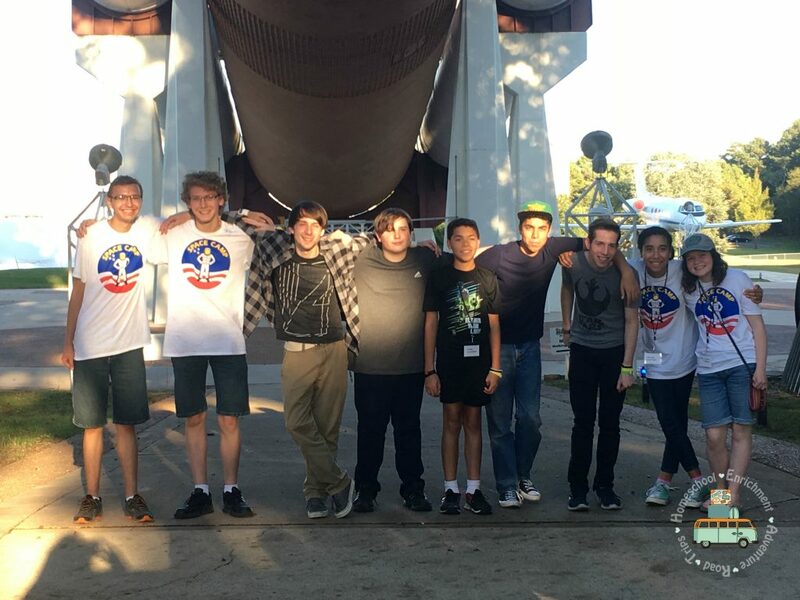 Each team completed a space mission! 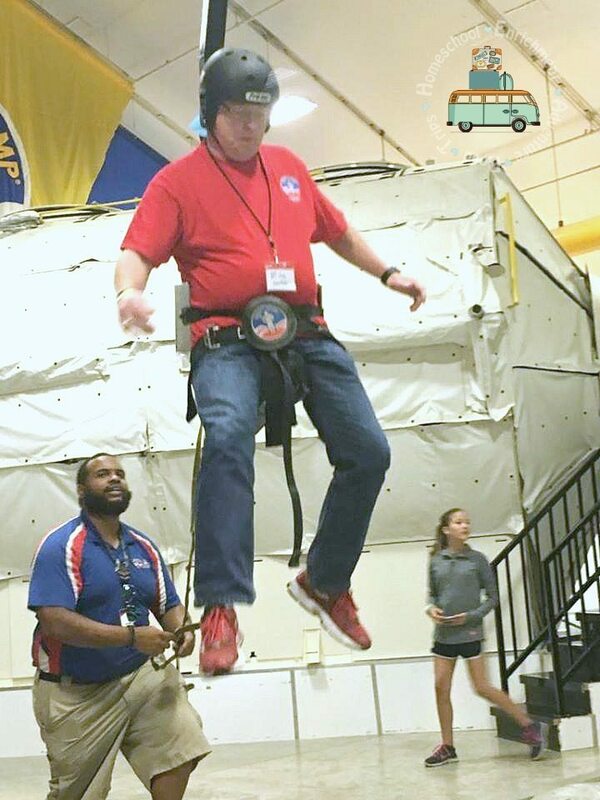 experienced a frictionless environment in the Manned Maneuvering Unit. 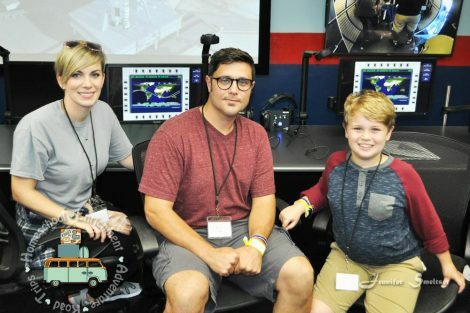 “lived” and “worked” in Space Camp’s International Space Station simulator. Here we are waiting for and participating in graduation. 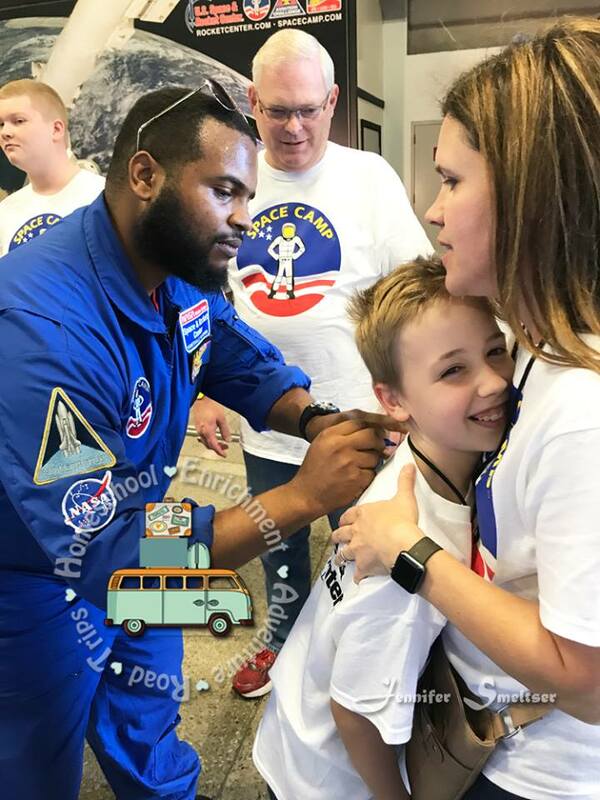 We signed each other’s Space Camp shirts after graduation. 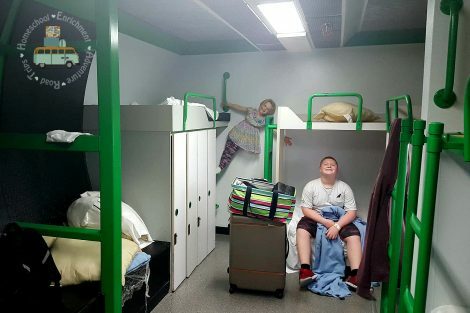 Here are some descriptions of some of the other activities we did and some of the things we experienced during the activities we shared above. • Took part in interactive lab activities led by our education department. 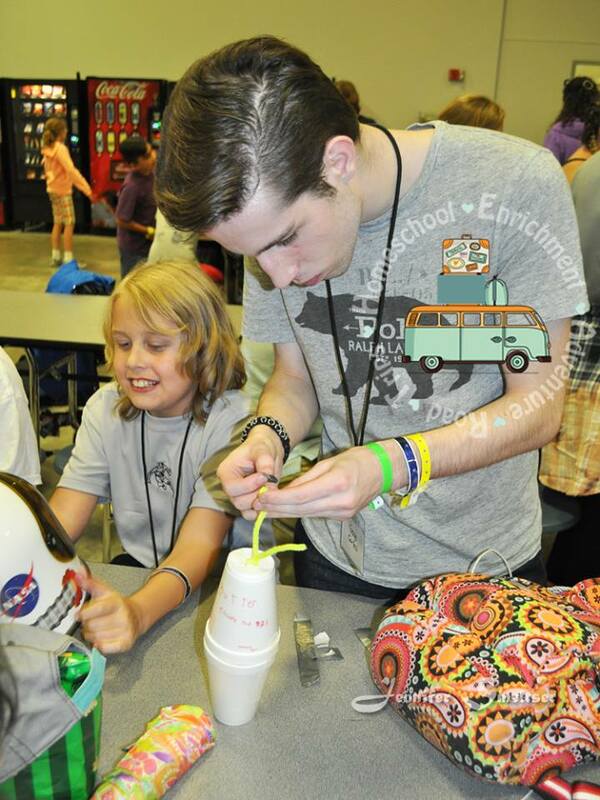 • Experimented with International Space Station science projects. • Learned rocketry principles by building and launching rockets. 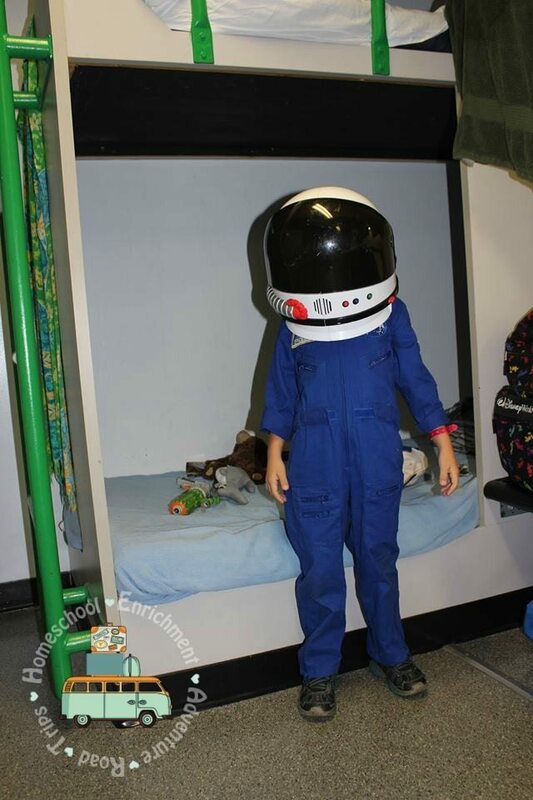 • Gained an understanding of a day in the life of an astronaut. • Drew and designed a mission patch. 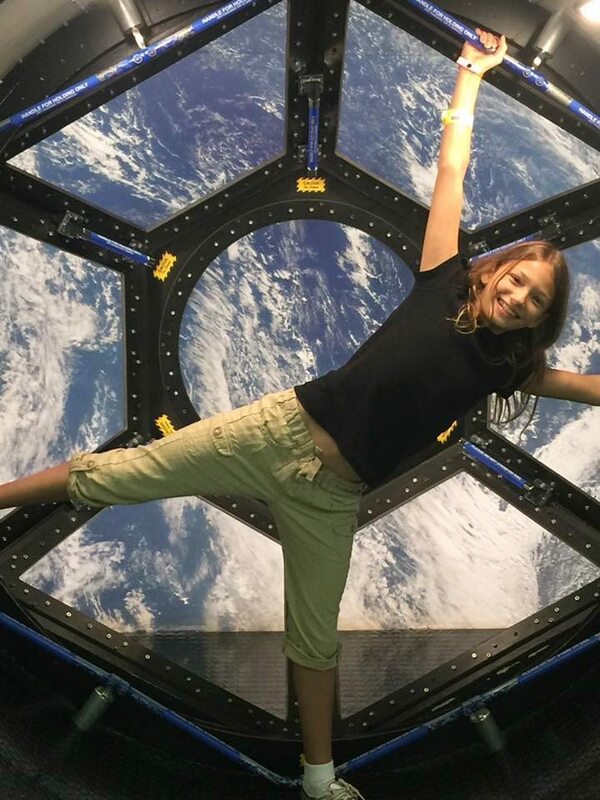 • Explored museum activities, including museum exhibits and simulators like the Mars Climbing Wall and Space Shot. 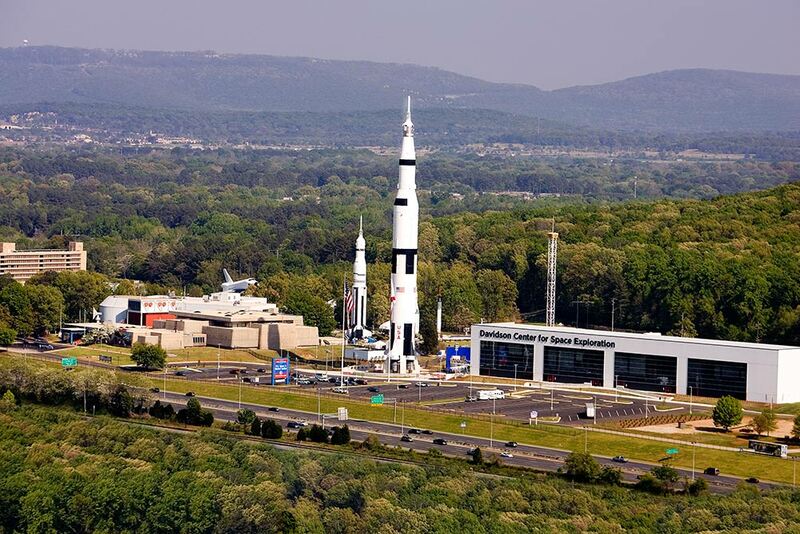 • Learned how Huntsville took man to the moon. • Gained an understanding of the principles of flight. • Flew an F-18 cockpit simulator. • Learned basic survival skills. • Constructed a model balsa wood glider. 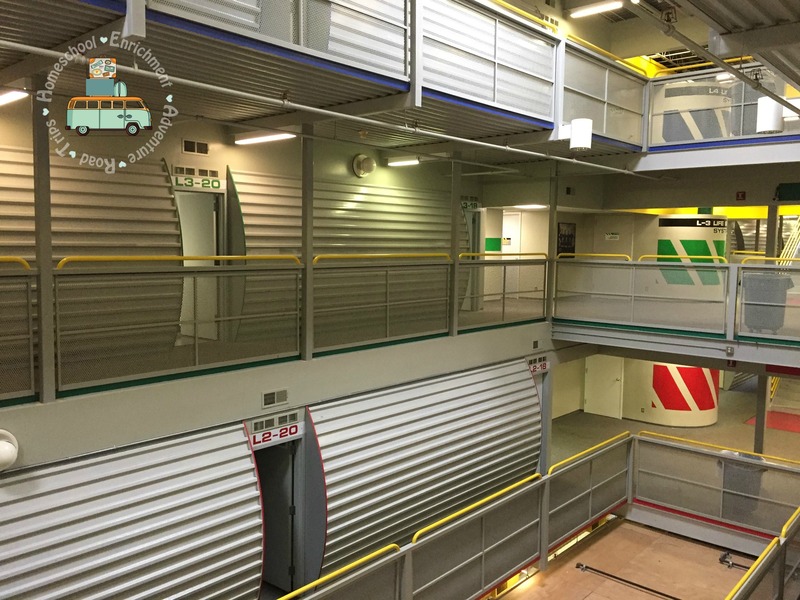 • Explored design principles of aviation with our 12 on-site aircraft. 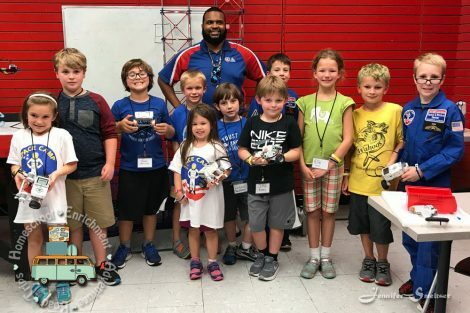 • Worked in teams to design and build robots. • Sharpened communication and team-building skills. 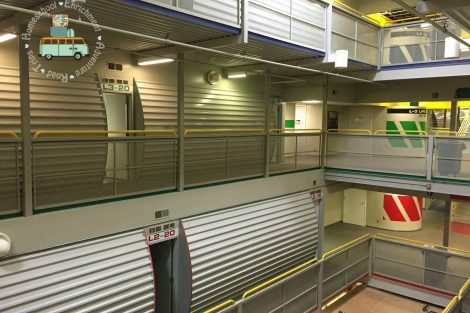 • Completed engineering and design projects. 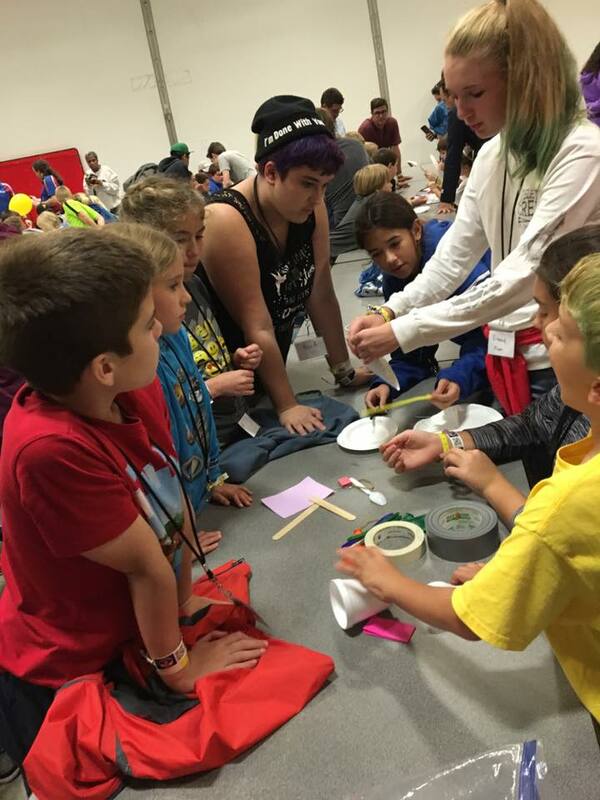 • Participated in critical-thinking and logic-building activities. 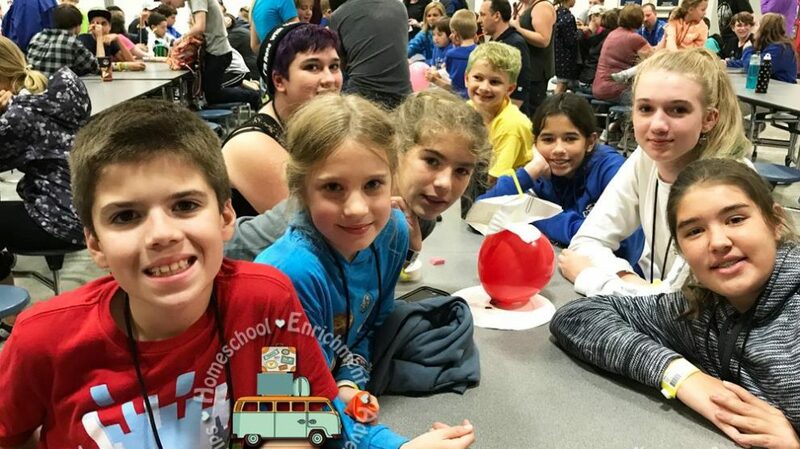 • Competed in end-of-the-week team robotics challenge. 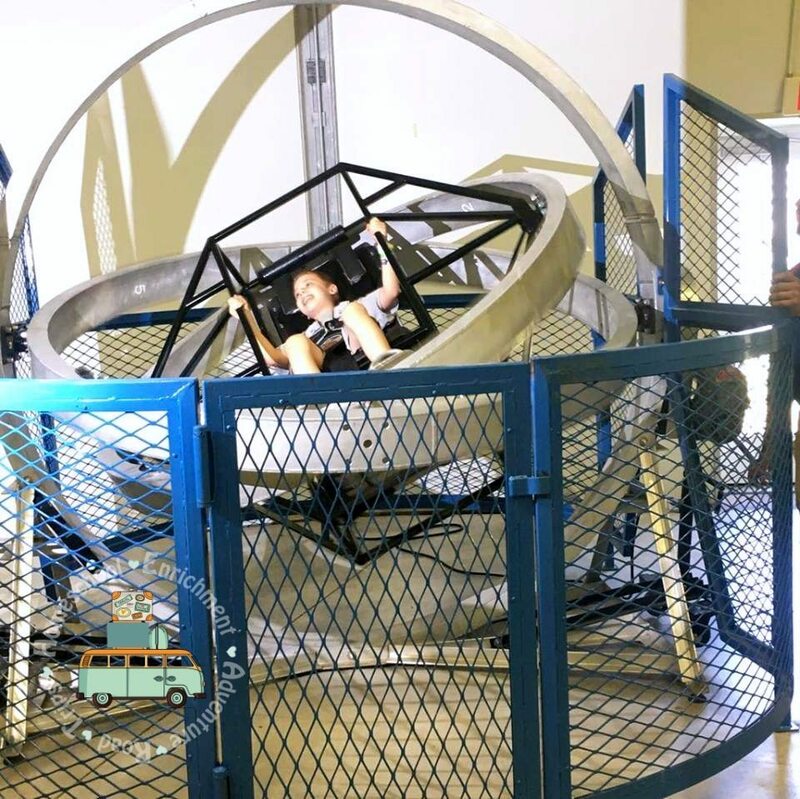 Practical applications of science topics such as Newton’s laws of motion, friction, thrust, gravitational force, center of mass and center of gravity, conductors and insulators, chemical properties of elements, etc. All meals are provided and served in the Crew Galley. There is fresh fruit for all meals. For breakfast you may choose cereal or a hot meal. For lunch and dinner, there are choices such as a salad bar, sandwiches, pizza, and other “kid foods.” But they also feature a dish from somewhere around the world so you can try something new if you’re an adventurous eater! If you or your children have food allergies or restrictions, they are able to make accommodations for that. We will give you the opportunity to provide this information ahead of time so they can be prepared. 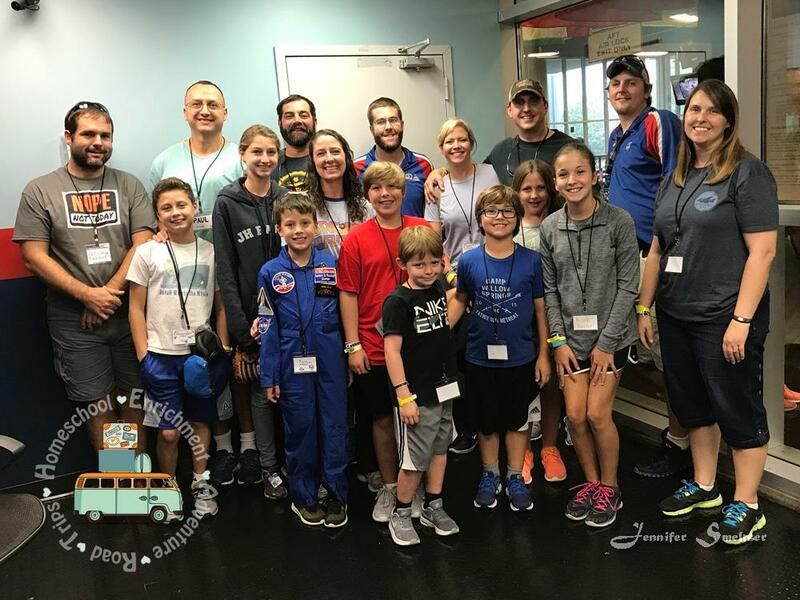 Family Space Camp: Four Days, three nights, all meals and accommodations provided. All basic camp activities and camp t-shirt are included. Below is a link to the sample schedule. It will be from Monday – Thursday (not Friday through Monday), but the sample schedule is close enough to give you an idea of the activities we have in store! 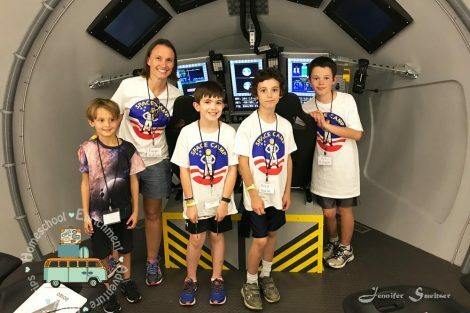 Space Camp Family Camp 4 Day Sample Schedule. See below for a list of à la carte items that can be added. Both camps will have the same Add-On Options (listed below). NOTE: Because of weather and current events, etc., our exact schedule and activities are subject to change. For that reason, we won’t publish a schedule of exactly what we’ll be doing at camp this fall. 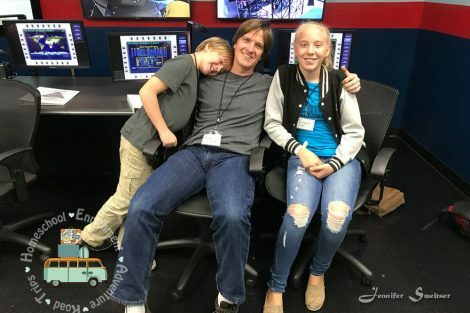 But no matter what we do, it will be a fun learning experience for the whole family, so don’t worry about the schedule! Just be prepared to show up and have a great time together. 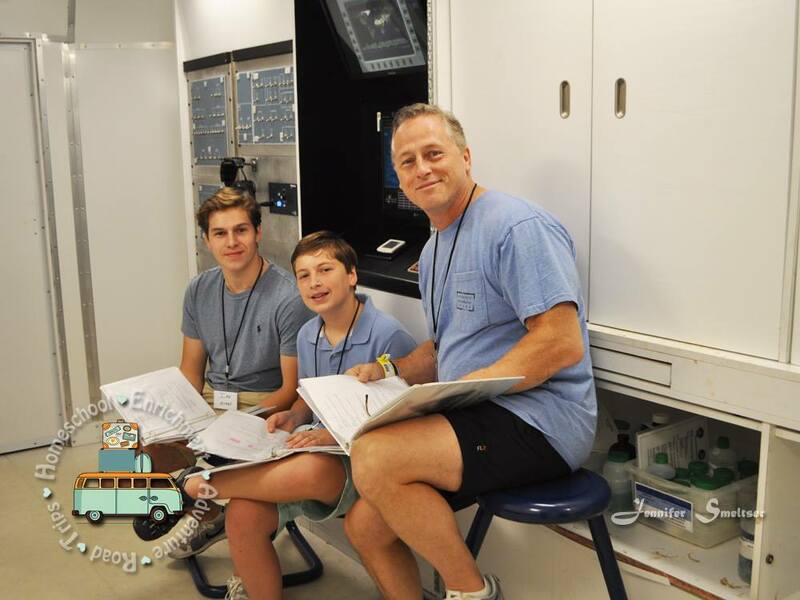 Family Robotics Camp: Four Days, three nights, all meals and accommodations provided. All basic camp activities and camp t-shirt are included. 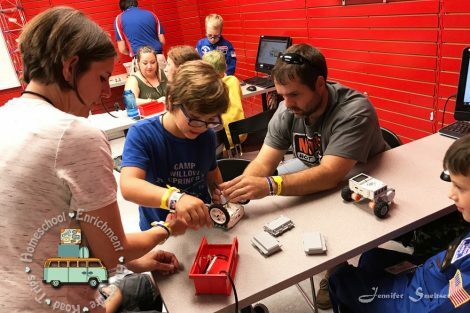 We do not have a sample schedule for Family Robotics Camp. This camp will happen at the same time as the other camp: Monday-Thursday. See below for a list of à la carte items that can be added. Both camps will have the same Add-On Options (listed below). For Kinder Campers who attend Kinder Camp, we will deduct $300 from the total cost. 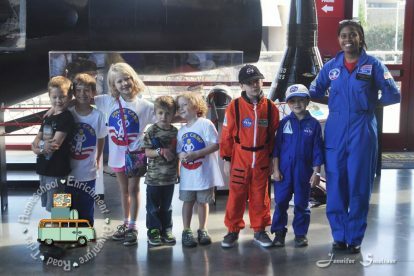 For 5- and 6-year-olds who attend regular Family Space Camp, the price will be the same as those listed above. 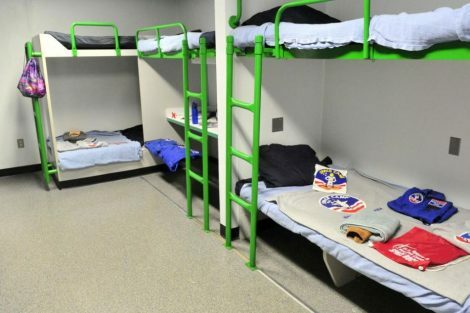 If you need accommodations for more than eight, please let us know. 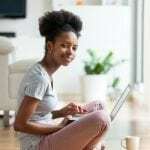 Add-ons are simply extra activities that parents and children may sign up for. 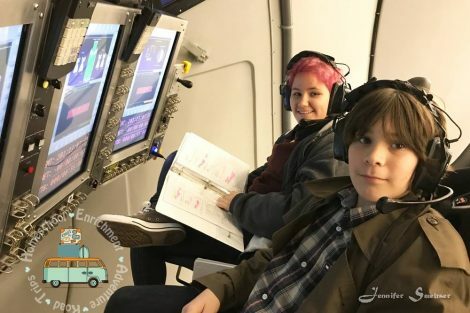 It is not necessary to sign up for any of these optional classes/activities, but they are available to both Space Campers and Robotics Campers if you would like to sign up for one or more of them. Available to ages 14+. Children ages 14-17 must be accompanied by a paying adult. Available to ages 12+. Children must be accompanied by a paying adult. Must be a US Citizen. Ages 16+ must have a government-issued picture ID or a valid driver’s license. 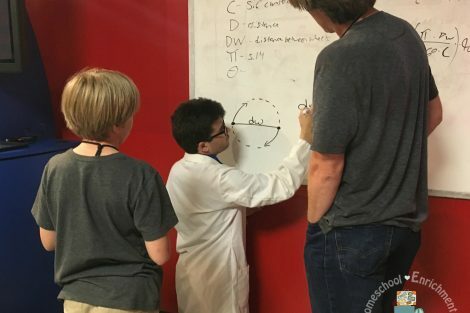 This course is NOT for those who are attending Family Robotics Camp. 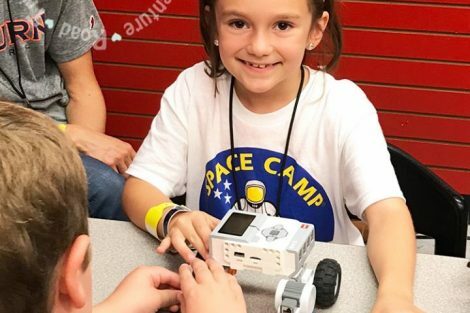 This course exposes those who are attending Family Space Camp to Robotics. 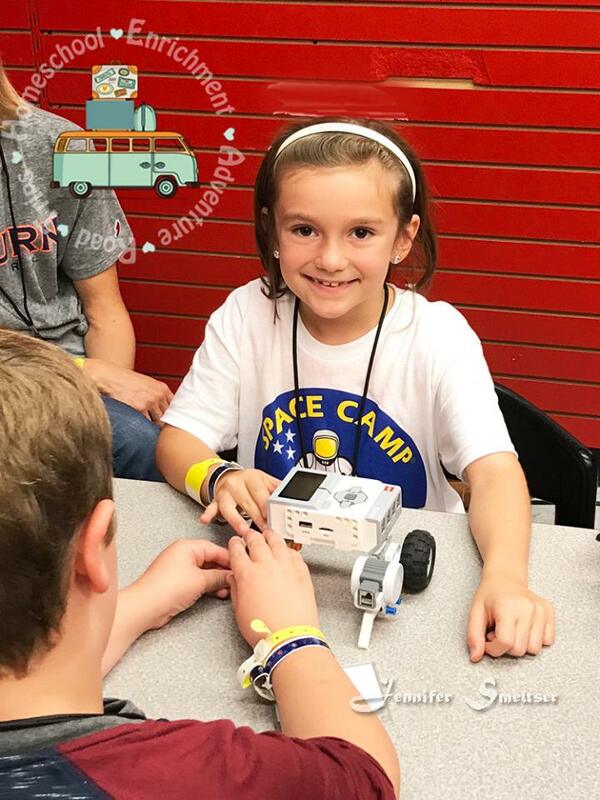 Only those who attend Space Camp and who are interested in a taste of what Family Robotics Camp is like should sign up for the Robotics Course. 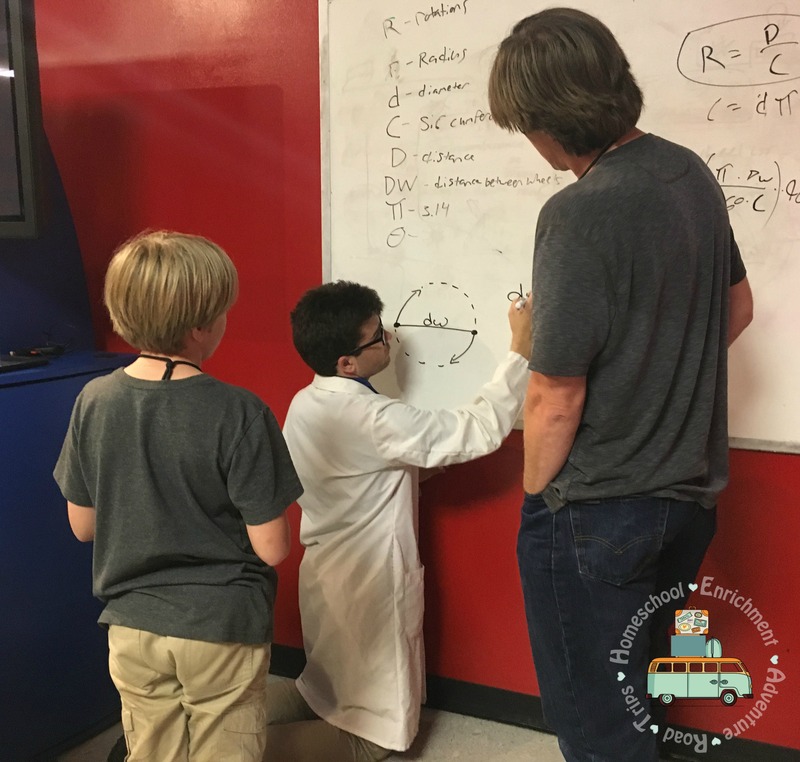 Those who are attending Family Robotics Camp do not need to sign up for this optional Robotics Course since they are already doing robotics. Your deposit of $250 is due upon registration. It will go to toward your entire amount due. We will offer a payment plan for the remainder of the balance. Payments are refundable only if there is a family on the waiting list who is able to take your place. Deposits are non-refundable. 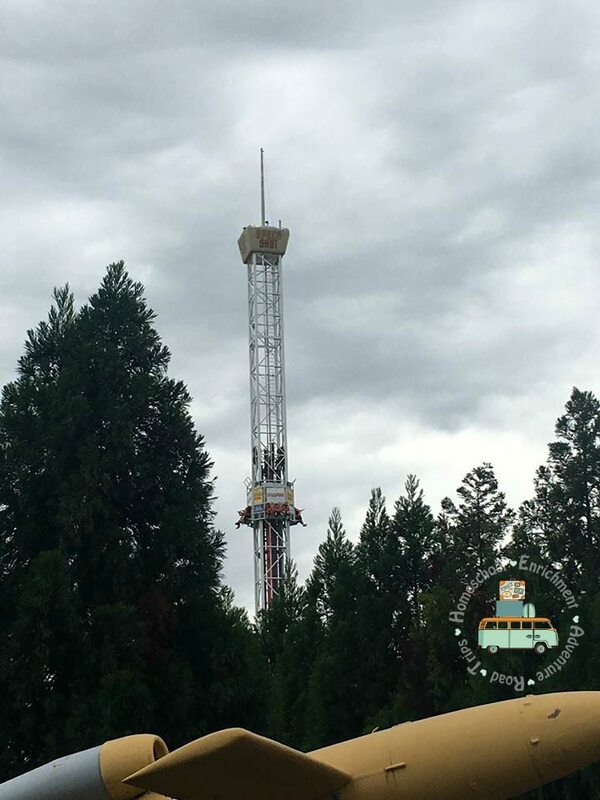 We cannot make any changes or offer any refunds after July 15, 2018. By your deposit payment, you acknowledge your understanding and agreement of the cancellation and refund policy. At this time, registrations are being accepted as long as there is space available. Deposit Due: Deposits are due upon registration. Once your deposit is paid, a payment schedule will be given to you (unless you pay your entire balance when you register). Need to arrive a day early or stay a day late? 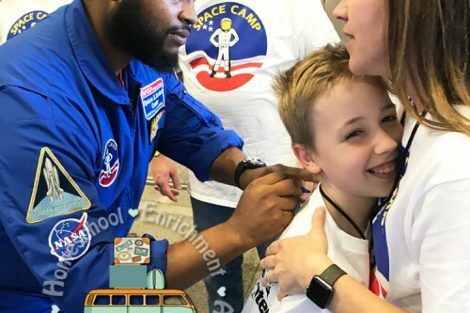 Space Camp does not accommodate families that need to arrive a day early or stay a day late, but there is a Marriott hotel available right next door to Space Camp. If you need more information about that, click HERE. If you have any questions, please email us and we will be glad to help!! 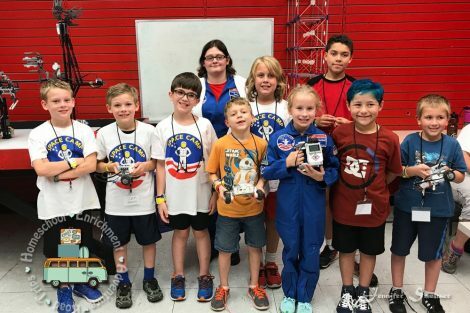 Be sure to put “Space Camp Questions” or “Robotics Camp Questions” in your subject line. The first step is to complete this form. Once you have completed the form, you will receive a link to click to pay the deposit of $250. 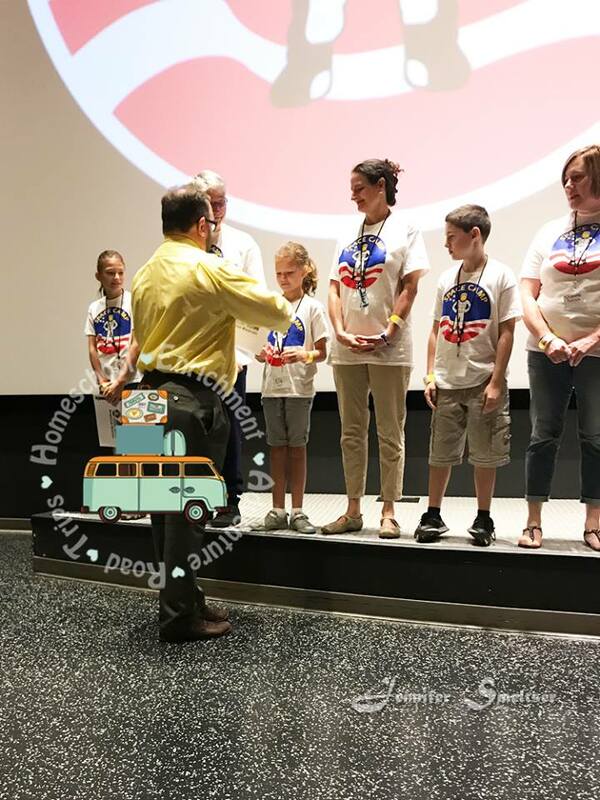 Once you have confirmed you plan to attend and have paid your deposit, please join our private group, Homeschool Road Trips HEART Space Camp 2018, and let’s start getting to know each other before the trip! 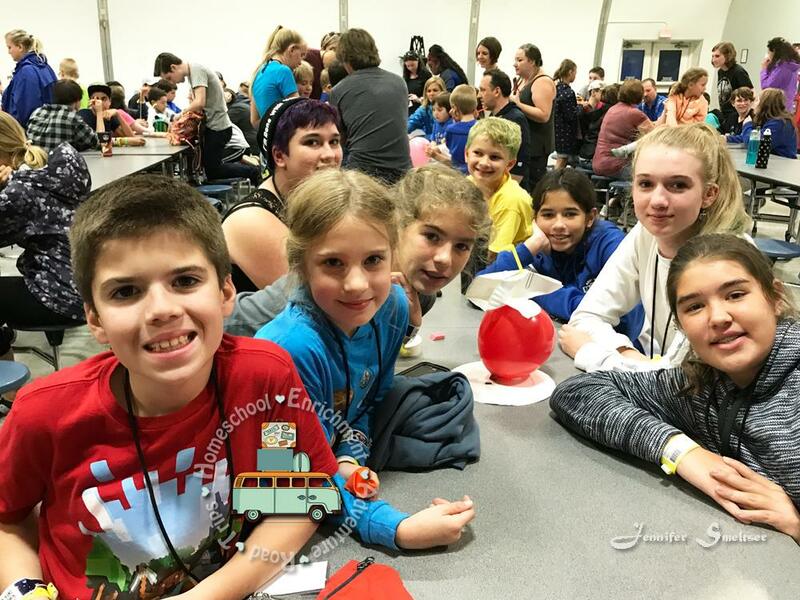 NOTE: The registration form allows you to register for either Family Space Camp OR Family Robotics Camp (since the two camps will happen at the same time). If part of your family wants to register for one camp and part for the other camp, please let us know. We will tell you how to do that. If you can, please do this again next year!! We can’t afford it this year, but my son is too young as well. 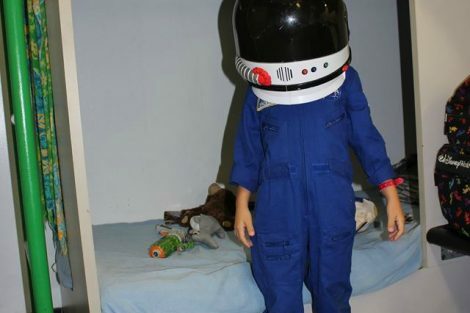 He has been begging for space camp and next year we can really prepare for it! 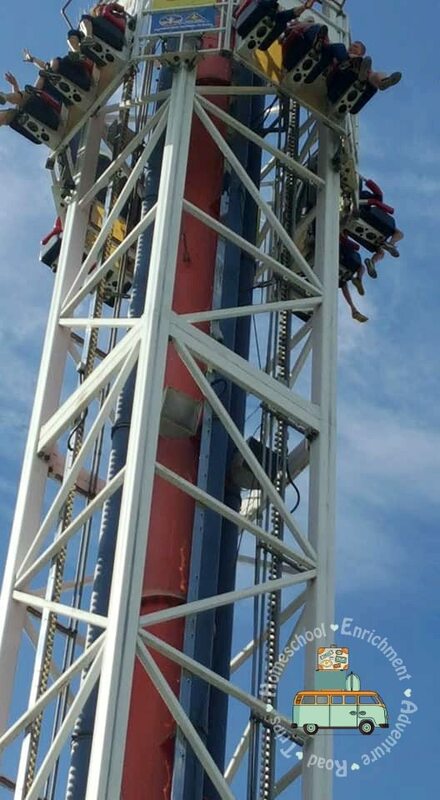 This trip looks like a lot of fun! I was wondering do you plan for these camps every year? Also can special needs children do the camp? 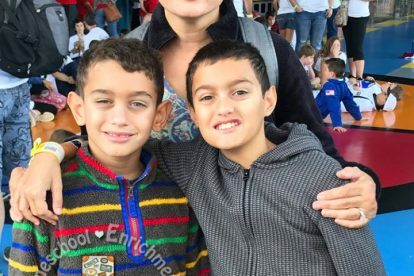 My son has autism and seizures. Thank you. Hi Sherri! We definitely wouldn’t exclude a child because of a disability! 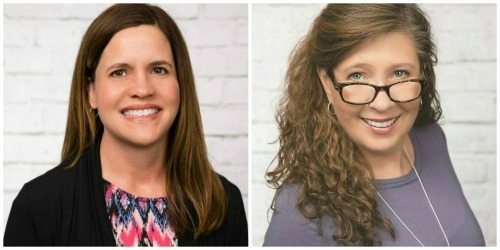 I have an autistic child myself, so I do understand how important it is to think about what it right for your child and what he or she would enjoy, etc. 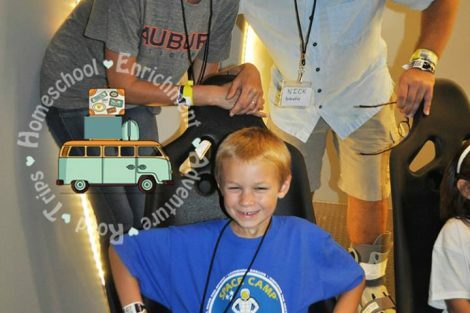 If the camp is something he would enjoy and be able to handle, he (like any other child) would be welcome to attend. 🙂 If you’re not sure or have specific questions, I’ll be glad to try to answer your questions if I can. Would this camp be appropriate for teens? 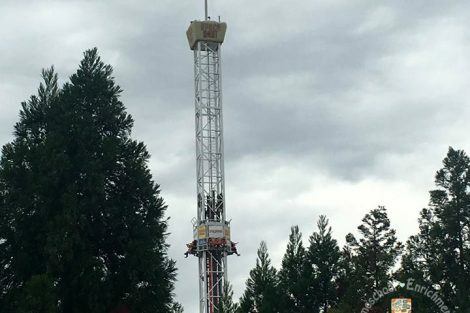 It looks like something my daughter and I would like to try. Adrienne, Absolutely! If you look at the images, those are from our trip last year and you will see we had MANY teens on this trip!! Hey! Quick question. 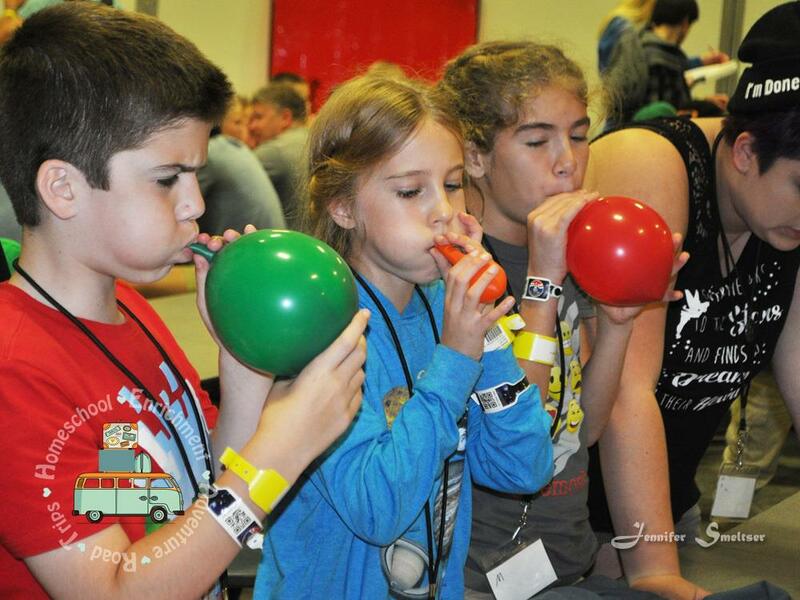 What are the Kinder Camp activities like? 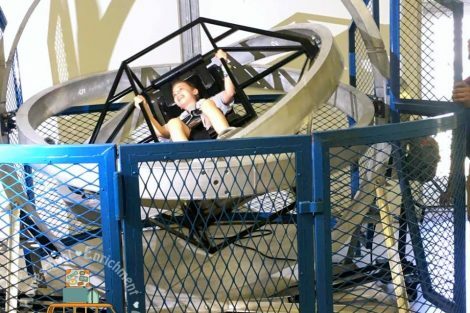 Is it going to be similar to the older kid’s experience in terms of the cooler activities? My five year old will be devastated if she hears about all the great things my seven-year-old is doing and she doesn’t get to do any of it. Thanks! Since my youngest is 15, I didn’t have any direct experience with Kinder Camp last year. 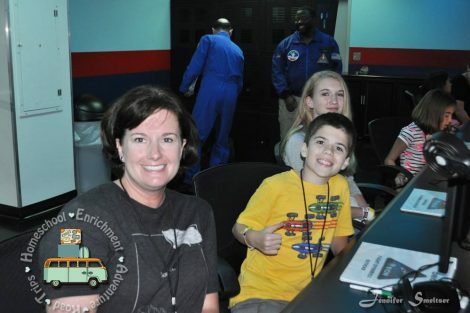 I did, however, email our Space Camp contact person to get more information for you. I’ll email you once I hear back about it. 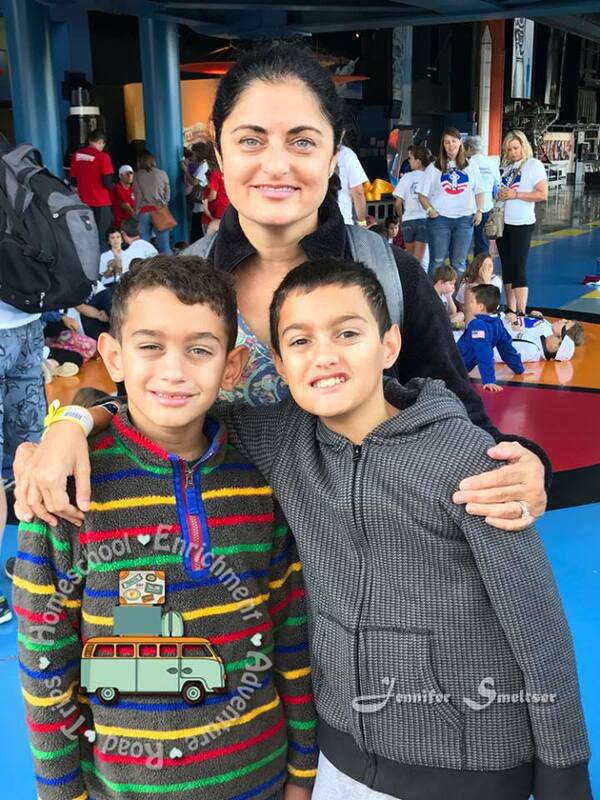 If you haven’t heard from me by the middle or end of next week, please email us at info@HipHomeschoolMoms.com to ask if we’ve heard back about it. Please put (in all caps so I’ll be sure to see it) KINDER CAMP QUESTIONS in the subject line. 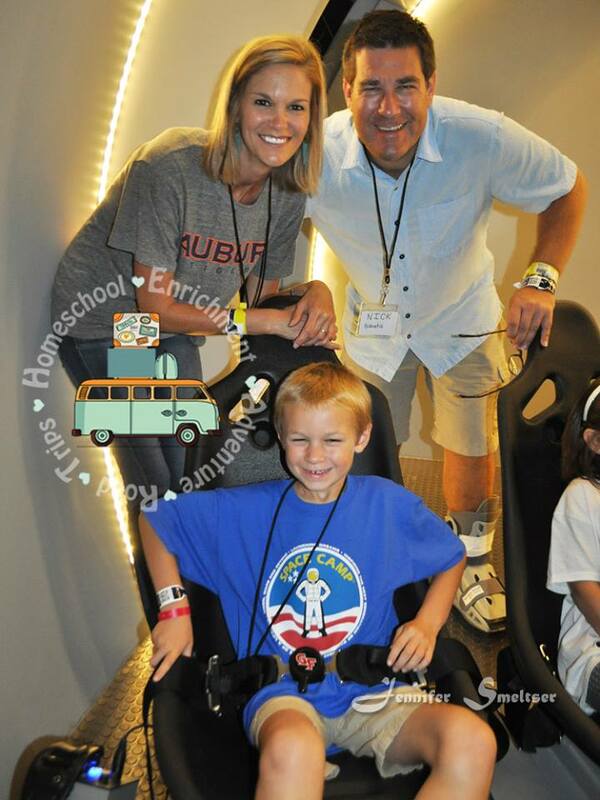 My husband and son did the Avaiation Challenge family camp in June and LOVED it! Wish we could get back there again. Enjoy!